We are now in uncharted territory. Having abandoned a useful but flawed approach to Iran’s behavior, one that had been painstakingly negotiated alongside allies, requires urgent work on an alternative strategy that better prevents Iran from developing a nuclear weapon, addresses its development of ballistic missiles, and counters Iran’s destabilizing regional actions. Neither the Obama administration nor the Trump administration has conjured a credible, sustainable policy to address Iran beyond the nuclear agreement. French President Emmanuel Macron in a tweet today expressed regret about the Trump decision alongside Germany and the United Kingdom, but at the same time signaled a willingness to engage in efforts to reach a more comprehensive approach. An urgent US embrace of this French initiative — a collaborative effort aimed at Iran’s longer-term nuclear weapons ambitions, its missile development, and its regional behavior — would mitigate the negative impact on the transatlantic alliance of Trump’s decision and reassure Mideast allies, who embraced the Trump decision, that a more comprehensive strategy with US allies is in the works. At the same time, one can’t underestimate unintended consequences of today’s decision. 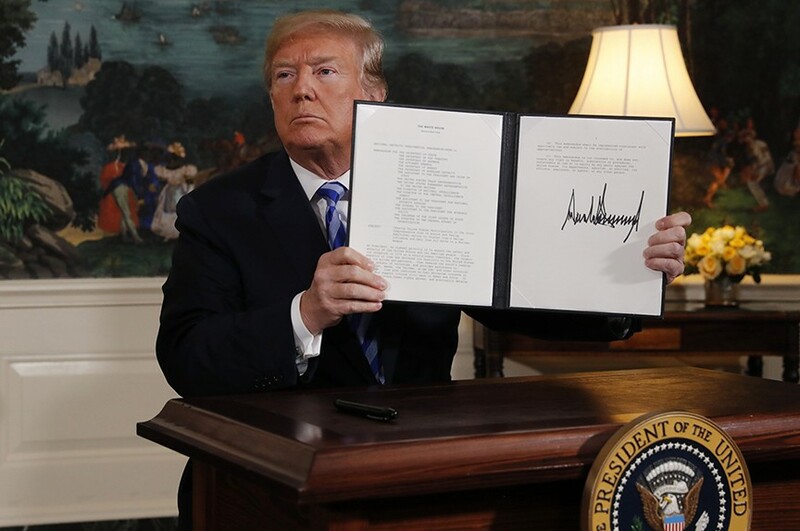 Renewed sanctions will take their toll on Iran’s weak economy, which has already prompted labor protests against the corrupt regime, but Iran can also escalate asymmetrical threats, including the threat of Iranian-inspired attacks inside Israel and against US troops in Iraq. US leaders will now need to immediately gear up and respond to such Iranian threats to reassure US troops and regional partners. Frederick Kempe is president and chief executive officer of the Atlantic Council. Follow him on Twitter @FredKempe.